You know it's happened to you, you get to the grocery store and can't for the life of you remember what you needed to buy. Did you need milk or juice? Since you didn't know you probably bought both, just in case because you didn't want to go back to the grocery. Once you arrived at home you hated yourself for buying extra stuff that now doesn't fit in your fridge. Well Samsung now has an answer for that, and in Apples words, "there's an app for that". 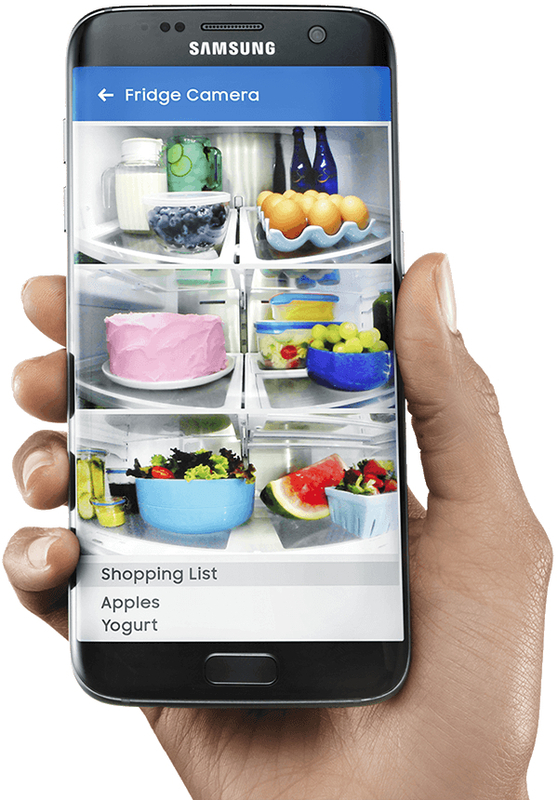 Now you can pull up pictures of your fridges inside from anywhere in the world. 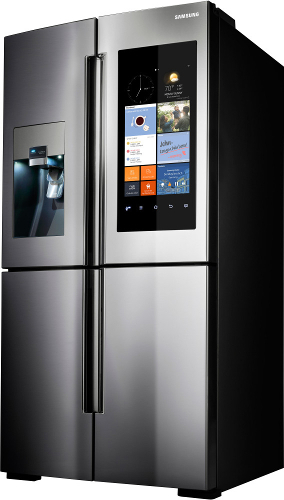 The Family Hub is a WiFi enabled Refrigerator that features a touchscreen to manage your family's online calendars and notes among other things. It will even allow you to send notes or reminders to your significant other reminding them to get the Oreo's cause you cant't forget those. You can also display your favorite family pictures on the screen, stream Pandora or Tune-In radio via the built in speakers or even mirror your Samsung TV on the fridge door, this way you can watch tv while you think of what you want to eat instead of leaving the fridge door open. The Fridge is a little on the pricey side with a suggested price of $5,599 but hey what other fridge can do all that? Get your very own Samsung Refrigerator on Amazon.